Speakers at Recovery & Opioid Addiction Resource event talked about their own journeys through drug addiction and recovery, stressing that help is out there for those who need it. SKOWHEGAN — Their roars could be heard loud and clear Monday night in Coburn Park. And they roared with a message that recovery from substance abuse and addiction is within reach for anyone and that help is out there. Kale, 53, was there with daughter Kayla, who is in recovery, and her new baby, Trinity Marie, just 10 weeks old. Naloxone, also called Narcan, is a medication designed to rapidly reverse an opioid overdose. 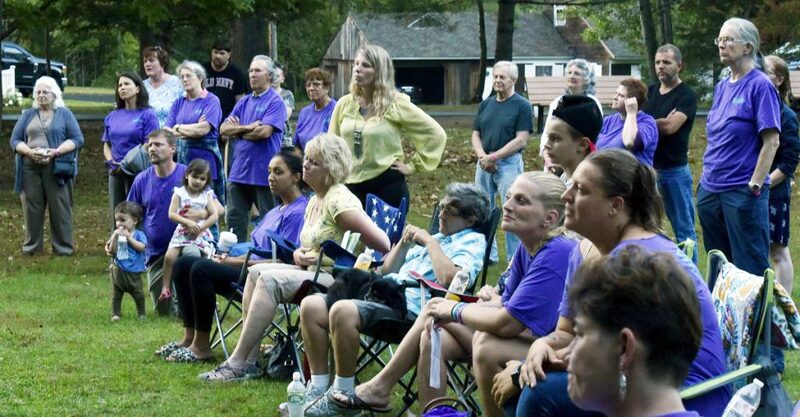 ROAR — the Recovery & Opioid Addiction Resource — is a group of people dedicated to celebrating recovery and honoring lives lost to addiction and substance abuse, and was the host of the rally. Elenore Trask, 28, of Augusta, said she was brought back to life with Naloxone in a McDonald’s bathroom right next to the toilet. 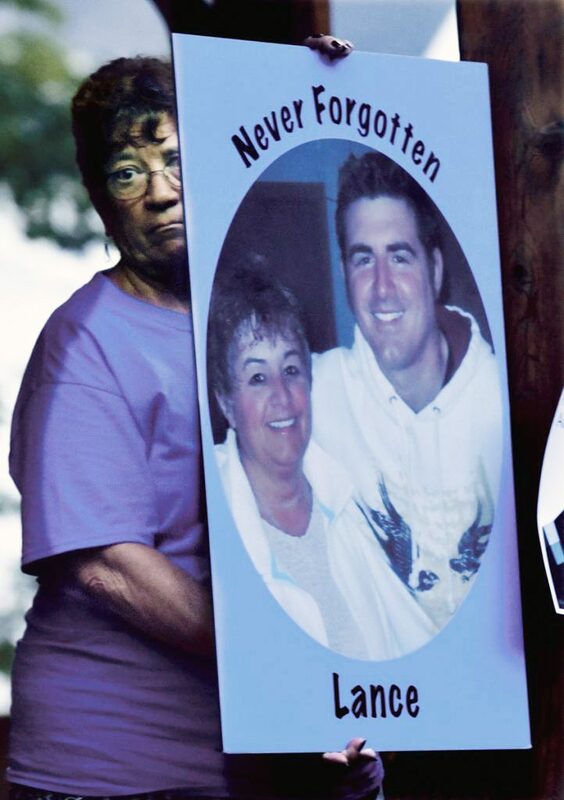 She said her wake up call came three years ago when she went to the funeral of a fellow substance abuser and half of the people in attendance were high. The other half were family members. She said she lost her daughter to the courts and finally went to rehab and got visitation rights. 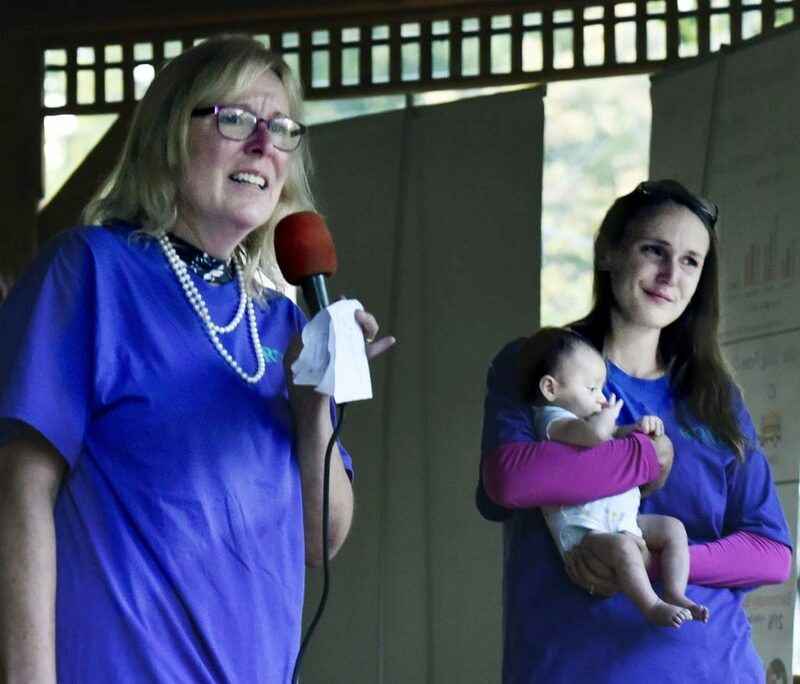 The ROAR rally was the first such event in the Skowhegan area and focused on people in recovery from what they call a “substance use disorder,” along with their friends and families to support that recovery. Among the attendees was the Skowhegan police chief, the district attorney, community volunteers, school board members and elected state officials from the Skowhegan area. Speakers shared stories of their journey to recovery and stories of supporting loved ones in the hope they will find that recovery. 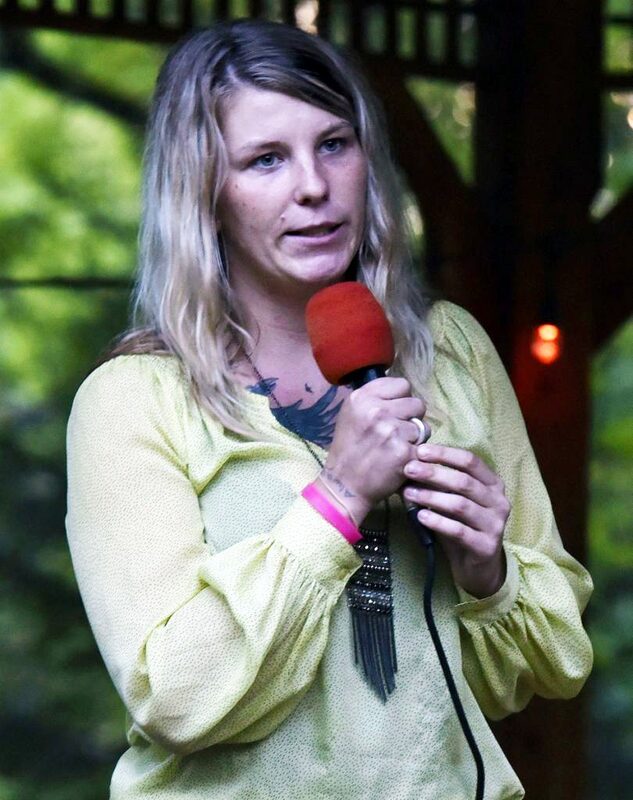 Courtney Allen, 25, co-founder of James’ Place Recovery House in Augusta and one of the speakers Monday night, said she is a person in long-term recovery. Her substance of choice was everything, she said — alcohol, opiates, you name it. She said she started drinking alcohol when she was 12 years old and now has been clean and sober for three years. She repeated the slogan of the night — recovery is possible. James’ Place in Augusta has three different apartments for recovery housing, Allen said, noting that they are safe, stable, sober environments where people are held accountable. The rally ended with a candlelight vigil — one candle for every life lost in Somerset County to an overdose since 2010. ROAR is sponsored by the Somerset Expansion for Addiction Care Collaborative and is part of broader efforts to expand medication-assisted treatment in Somerset County. The collaborative is led by Kennebec Behavioral Health in collaboration with Skowhegan Family Medicine, Somerset Primary Care and Crisis and Counseling and is funded through the Maine Health Access Foundation. 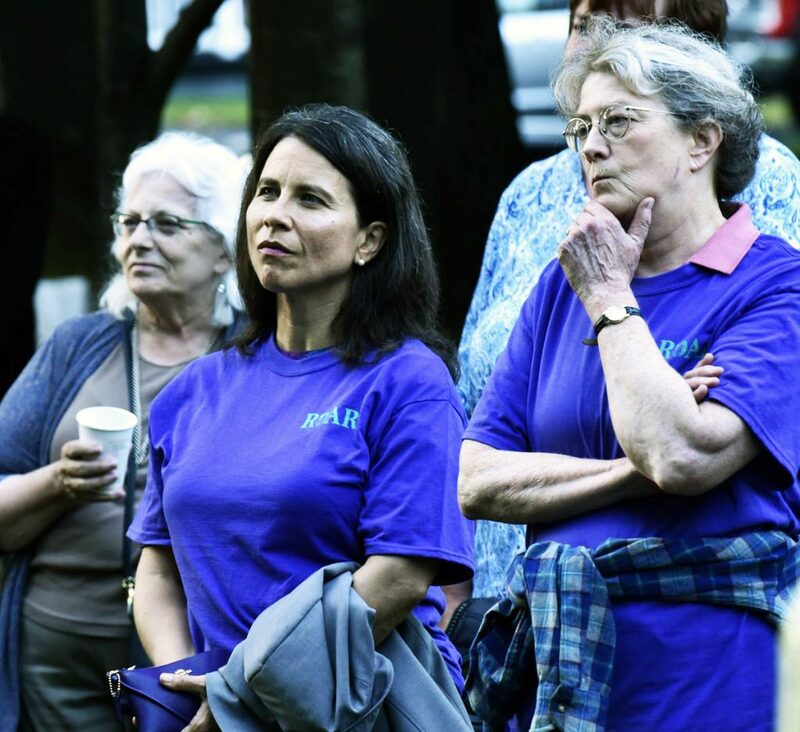 ROAR members, as people in recovery, wanted to share why the rally matters to them: “Because it’s time to let go of the shame and stigma attached to opioid addiction” and people should not forget those who have died, but need to have continued hope for recovery. The message was that residents of Somerset County need to know that “treatment works and recovery happens … not every person is dying from substances, a lot of people are in recovery.